Simon Kirwan is a photographer with a passion for the outdoors. He spends as much time as possible visiting the mountains and wild places of Britain and the world. After visiting Nepal and photographing the Himalayas in 1999, Simon was named 'Observer Outdoor Photographer of the Year 2000'. He has since travelled overland across East Africa visiting Kenya, Tanzania, Zanzibar, Malawi, Mozambique and Zimbabwe; in addition, he has photographed the mountain ranges of Europe including the Spanish Pyrenees, the French and Italian Alps, and the Polish Tatras. 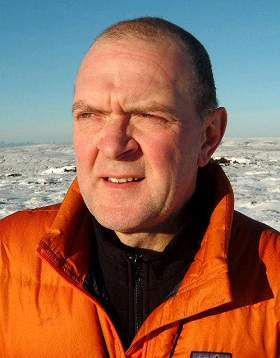 Despite his love of travel and the excitement of visiting new destinations, Simon is equally happy to wander the hills and mountains of Britain's countryside, especially Snowdonia, the Peak District and the Lake District where he can indulge his love of mountain walking and scrambling as well as photographing the ever-changing landscape. Simon's images have appeared in many publications and can also be viewed on his website The Lightbox, one of the longest-established UK photography sites which itself has featured in the media on numerous occasions. The Lightbox picture library now contains an archive of over 5,000 images from Simon's travels. After many years of conventional photography, utilising all the various camera formats and systems, Simon is fully committed to digital technology and has been an exponent of digital cameras since first using a studio system in 1994.